Women’s Family Law Firm works hard to help Central Florida families during difficult legal matters. We have helped hundreds of families have success during their personal legal situations. Divorce and Family Law matters can have strong impacts on you and your family members for years to come. Your choice of attorney, hired to legally represent your best interests could help play an essential role in the final outcome of your case. You can trust that our law firm has the legal skills and experience to provide elite representation and guidance throughout your case. We are proud to represent Mothers and Fathers alike, and no matter who we are representing we always tailor an effective and detailed strategy from beginning to end to best represent our clients and provide a cost effective amicable resolution. Attorney Christina Green, Esq. has a proven record of success with Litigation and Mediation. 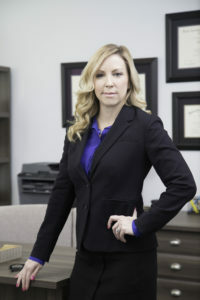 Possessing over 10 years experience as a Central Florida Attorney, with highly effective and organized legal skills, she has earned many awards and gained undeniable recognition. Ms. Green, of the Women’s Family Law Firm, focuses her practice in the areas of Family Law and Personal Injury. Christina has over 10 years experience as a practicing attorney. She graduated from the University of Central Florida with a bachelor’s degree in Psychology. Then obtained her law degree from Florida A & M College of Law in 2006. During law school, Christina served as a Certified Legal Intern by providing legal services to the homeless across Central Florida. Not being intimidated by hard work, after she enrolled in the four-year night law program, she decided to accelerate her education and finished law school in just three years, while working full-time and raising a family as a single mother. Christina has first-hand experience with divorce, custody and child support, which makes her compassionate when representing clients and their families. Ms. Green is vibrantly active in our Central Florida Community. She is a member of the Orange County Bar Association, the Legal Aid Society of the Orange County Bar Association, the Family Law Section of the Florida Bar Association, and the Central Florida Association for Women Lawyers. She also served as President and Director for the Avalon Park Foundation, former PTSA President for Avalon Middle School and currently volunteers her time in many of the East Orlando schools. 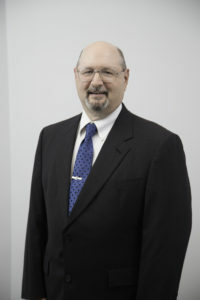 Before joining Women’s Family Law firm, Mr. McGowan spent thirty-three years in the insurance industry, both in Massachusetts and Florida, working for three of the larger insurance companies in the United States, starting first as a Special Investigation investigating fraud cases and finally investigating and overseeing personal injury lawsuits brought against the insurance companies for which he worked and their insureds. United States Air Force Veteran, 1974 to 1978, Sergeant in U.S.Air Force Intelligence Service/Data Intelligence, stationed at Offutt Air Force Base, Nebraska.